I just wanted to let you know that Pastor Elysee Joseph returned from Haiti last Monday on board a US Air Force plane that landed in Orlando. He was in Haiti from the middle of December until Monday. He was due to return home when the earthquake hit. After the quake he was busy helping our Haitian team members in Cap Haitien and then assisting Pastor Eddy Bezin in Port Au Prince. Pastor Elysee gave us the follow-up report on our friend Dr. Eddy Bezin who is the Pastor and Leader of Delmas Christian Church, “Preaching Christ to the Multitudes” and Adelphos College in Port Au Prince. Twenty-five members of Pastor Eddy’s congregation died in the earthquake and sixty-three families lost their homes. The needy in Pastor Eddy’s congregation are turning to him to have their material needs met and of course resources are in short supply. They are in need of food, water and tents. Hopefully aid will arrive from the first responder teams in short order. In addition the facilities of “Preaching Christ to the Multitudes” suffered some major damage in contrast to preliminary reports we had received. The only thing remaining of the primary school building is the roof. All the walls of the building collapsed. All the other structures on the property suffered cracks, some severe. Pastor Eddy & Mirlande have moved from their quarters to the lower quarters area where guests usually stay. This appears to be the safest area at this time. 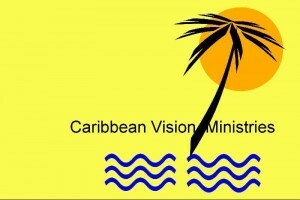 Caribbean Vision Ministries has dispatched funds to aid Pastor Eddy and his congregation with their urgent needs. Our local staff in Cap Haitien will be helping with supplies from that area and overseeing the delivery of needed financial resources. In the meantime we will be communicating with Pastor Eddy to determine his continuing needs and the best way we can resource him. We will keep you aware as our plans develop. In the meantime we ask you to continue to pray for the people of Haiti and the workers from around the world who are attempting to help them. Pray also for Pastor Eddy and the people he is ministering to. Pray for our Grace Brethren congregations in Haiti and their needs as well. Pray for Daniel Cardichon, one of our pastors who also serves with the Haitian National Police at the Palace. Daniel was returning to Haiti from the US and his plane was landing at Port Au Prince when the quake hit. He was unhurt and his family at home was unhurt but his home in Port Au Prince was destroyed. He and his family have been sleeping outside since that time. All the palace guards who were on duty at the time of the quake were killed as the palace was destroyed. In addition, the five churches Daniel had started in the mountains around Las Cahobas all suffered destruction of their buildings. As our communication with Daniel improves we will lay out a plan of action to help him and his congregations. Thanks for your prayers and thanks for your financial gifts. We have put some of the funds to use already as we noted and more funds will be disbursed soon as avenues of ministry to the needy people of Haiti open up. All financial gifts can be sent to: Caribbean Vision Ministries, PO Box 18317, Panama City Beach, FL 32417 and are tax deductible. 100% of all funds received will be used for disaster relief for the people of Haiti.